Voters are heading to the polls Tuesday to fill state House vacancies in Houston and El Paso in the latest special elections since the midterms. In House District 79, there is a three-way race to replace former Rep. Joe Pickett, D-El Paso, who resigned effective this month, citing issues related to a cancer diagnosis. And in House District 145, eight candidates are competing for the seat left open by ex-Rep. Carol Alvarado, D-Houston, who won a promotion to the upper chamber last month. The races are unlikely to change control of either Democratic-friendly district, and the contests have been marked by low drama and low turnout in the shadow of the legislative session's opening in Austin. Both contests have potential to go to a runoff, which would happen if no candidate receives over 50 percent of the vote. 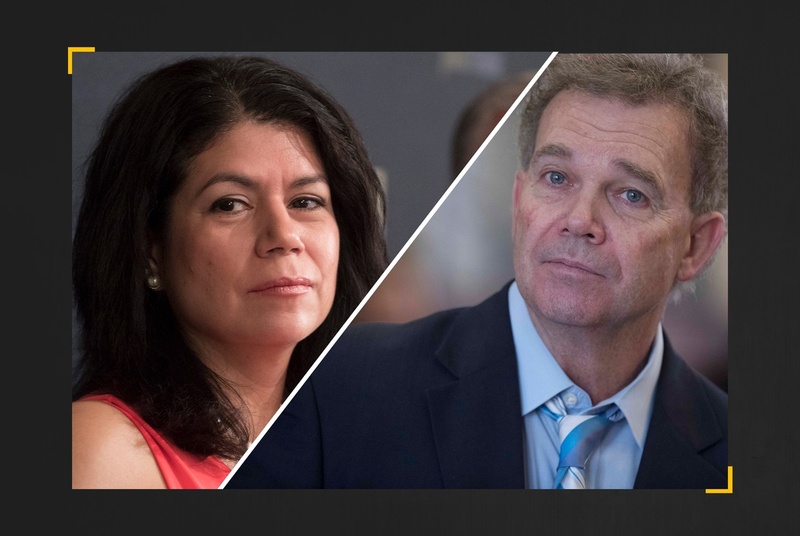 In HD-79, attention has centered on the two Democrats in the race: Art Fierro, the chairman of the El Paso Community College Board, and Michiel Noe, a former member of the El Paso City Council. Early on, Fierro locked up the support of every member of El Paso's all-Democratic delegation to Austin besides Pickett, who has not endorsed in the race. Education groups have also rallied to Fierro's side. Noe has cut a less partisan profile in the race. A physician and tort reform supporter, he has the backing of the two groups that represent those interests in Austin: the Texas Medical Association and Texans for Lawsuit Reform. They contributed well over half of the money Noe raised on his most recent campaign finance report, which also featured support from El Paso Mayor Dee Margo, a former GOP state representative. And during a TV debate that aired Sunday night, Noe voiced support for a "heartbeat bill" that would outlaw abortions at the time a fetus' heartbeat can be detected. In HD-145, the two candidates who appear to be waging the most competitive campaigns are Democrats Christina Morales and Melissa Noriega. Morales runs a funeral home business with her family that has a long history in Houston's East End. Noriega, meanwhile, is a former member of the Houston City Council who held the HD-145 seat in 2005 while the incumbent and her husband at the time, Rick Noriega, served in the military overseas. In a sign of the close choice between the two, the Houston Chronicle's editorial board endorsed Melissa Noriega on the eve of early voting, saying she has the experience to get to work right away if elected, but the board also said it was impressed with Morales. She is "probably running the strongest campaign in this race," the editorial said. While Alvarado has not endorsed in the contest, the team that helped elect her to Senate is working for Morales, and Morales got the endorsement Friday of the woman Alvarado replaced in the upper chamber, now-U.S. Rep. Sylvia Garcia. The four other Democratic candidates for HD-145 are Oscar Del Toro, Ruben Gonsalez, Elias De La Garza and Alfred Moreno. Each special election features a sole Republican candidate who could influence the possibility of a runoff. In HD-145, the GOP contender, Harris County precinct chair Martha Fierro, is running in her second straight special election after finishing third in the four-way December race to replace Garcia. The Republican on the ballot in HD-79 is activist Hans Sassenfeld. In HD-145, a Libertarian, Clayton Hunt, is also running. Early voting for both special elections wrapped up Friday, and turnout was predictably low. In HD-79, there were 2,705 early voters, and in HD-145, there were 1,526. Tuesday's contests are not the last on the books to fill vacancies at the state Capitol. On Feb. 12, there will be a special election for the seat of former Rep. Justin Rodriguez, D-San Antonio, who was appointed this month to replace the late Bexar County Commissioner Paul Elizondo. Polls are open from 7 a.m. to 7 p.m. Tuesday in the HD-79 and HD-145 special elections.